In Bali I have notice cats walking around and catching mice and I call this Pest Patrol! 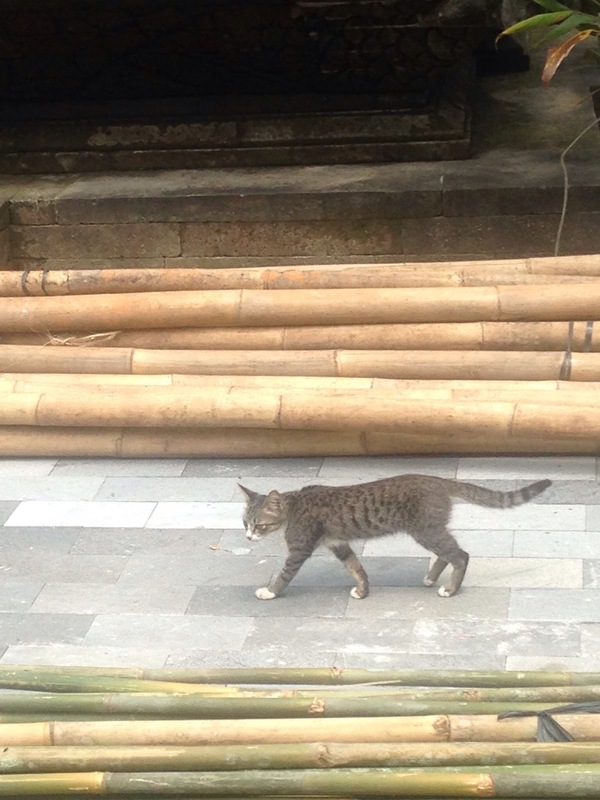 ﻿They don’t kill the cats because they are sacred in Bali. So you are probably wondering what pest patrol is. Pest patrol is cats doing patrol to see if there are any pest around. Do you know what any of those pest are? The pests are mice! You are probably wondering why they need pest patrol. They need it because if too many mice come, they might make a problem. 😬 The problem they make is that, if it’s a restaurant, if the mice get in they could gobble up all the food. But if the cats get the mice, they are gone. Or, if mice go into clothes stores, they could nibble on the clothes or make holes or dents in the products they might sell. The cats are usuallly skinny with a long skinny tail that curves up a little. And they are mostly black and white. Unlike Bobby, who is my friend’s cat at home in Denver, these cats in Bali have long tails. Bobby was born without a tail. And Peeps, the other cat of my friends, is all black, but is chubby. No offense to Peeps. How do we control pests at home? We usually just set out mouse traps, but I don’t know about everybody else. And, we don’t get many mice either. I feel like this is a good but also a bad idea. It’s good because it’s good for all the Bali people so that they can sell their stuff and not have to be poor. But it’s bad for all the people who are allergic to cats. In which I follow the signs and apologize to the crocodiles. Sometimes I wish there were more cats wandering New York City because I see rats all the time poking around in the subways and think if we had better ‘pest patrol’ it wouldn’t happen. 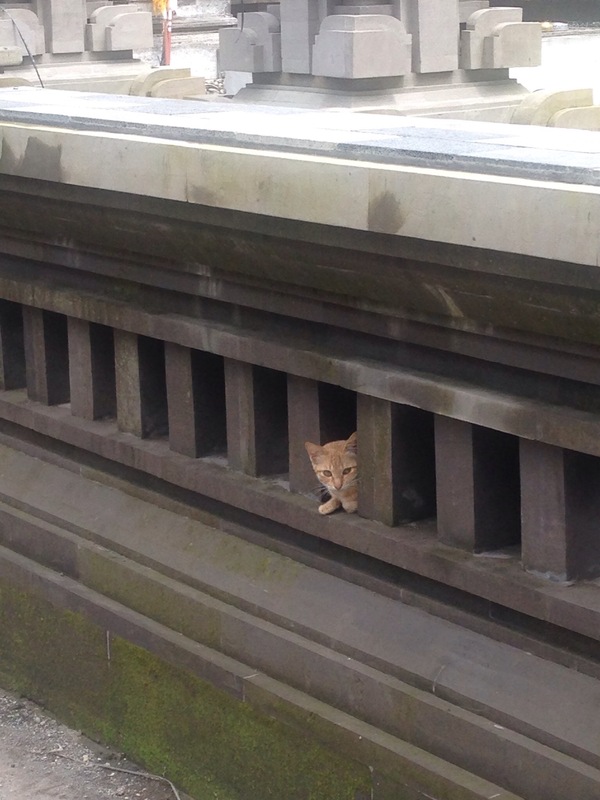 But then I wonder, would the government eventually have to release dogs to get the cats — so it’d probably create more problems than solving them because they’re not sacred here! A lot of bodegas, or corner grocery stores, have a house cat or two to make sure they’re mouse-free. They’re always friendly, but I also wonder about people who are allergic to cats.